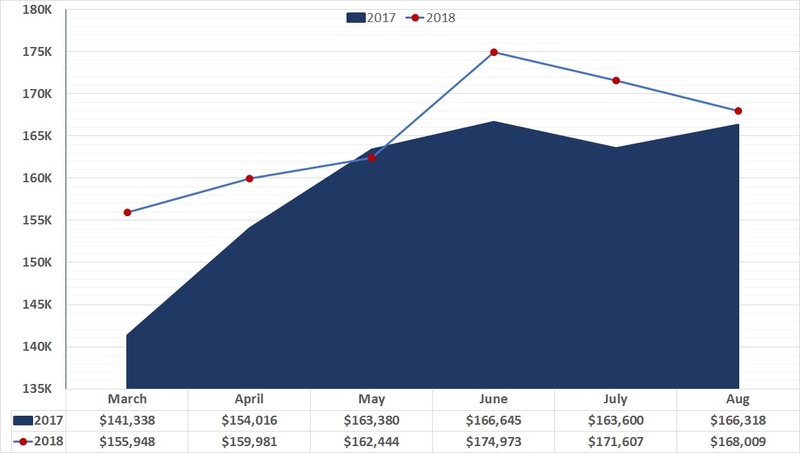 The greater Wichita area real estate market experienced a calmer market in August compared to May, June and July of this year. Although the momentum of the early summer months was hindered with back to school tasks and end of summer vacations, the month of August did bring a good deal of new inventory to our market! In addition to new inventory, the average sales price of a home in the Wichita area holds strong. The average sales price of a home is 1% higher than the average sales price reported in August 2017. Also on a national level, home prices continue to rise quarter over quarter. The statistics below are based on information from the RSCK MLS for the time period of August 1, 2018 through August 31, 2018. Report data generated on September 4, 2018. As mentioned previously, August brought much welcomed new inventory to the Wichita market. With more homes available for potential buyers our month supply increased to nearly four months. Creating the most inventory the Wichita market has seen since February 2017. 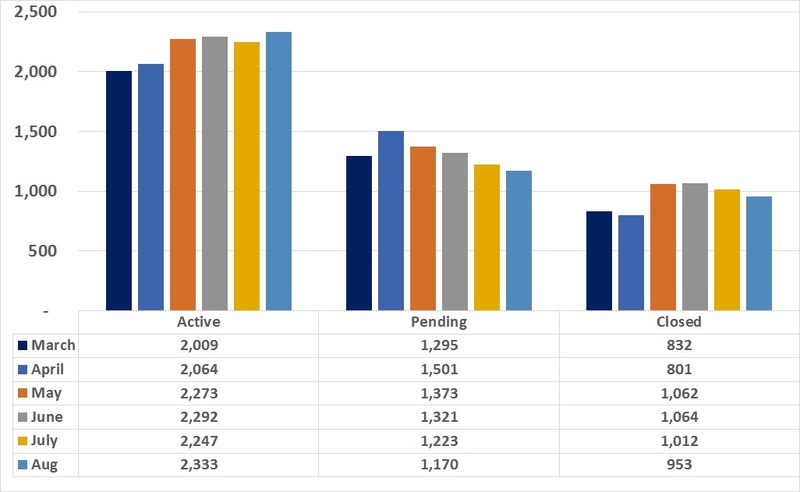 Despite the increase in inventory, the number of contracts written in August were down from July. We speculate that this trend is likely attributed to back to school preparation and end of summer vacations, which pulled buyers from the market. While the average sales price has decreased compared to the earlier months of summer. Looking at the market year over year the average sales price has increased notably. 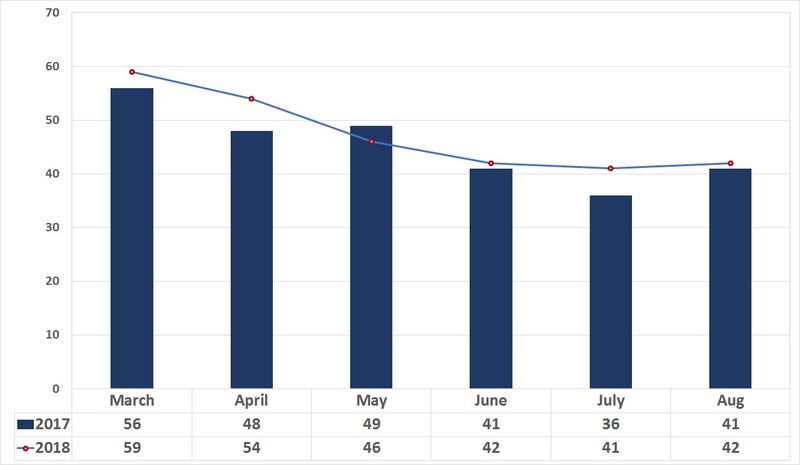 Following the trend of this time last year, the amount of time a listing is on the market increased slightly compared to the early months of summer. With school back in session and Labor Day behind us, the market will likely pick back up again. 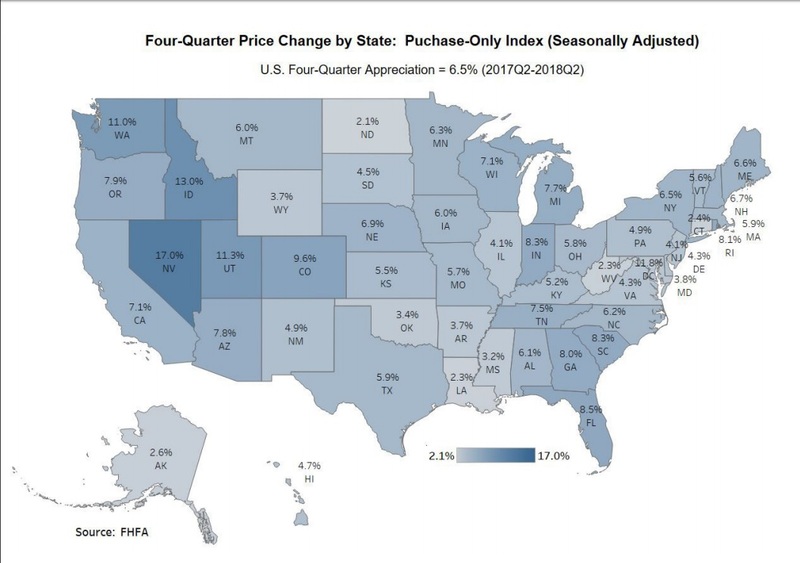 According to the Federal Housing Finance Agency House Price Index, on a national level home prices rose by 1.1% in the second quarter of 2018. Looking back, statistics show an astounding 6.5% rise in home prices between the second quarters of 2017 and 2018. In regards to the seasonal adjustment, home prices rose 0.2% from May to June of 2018. Click HERE to view the full Federal Housing Finance Agency Quarterly report. To view July’s Market Update click HERE!